So what is the plan for the karaoke case? Pretty much what you see in the photo dreampi and dreamshell (aka the drive bay for a 2.5" hdd or ssd) for now, I don't know what other thing to add to it, I did test my water cooling idea but after adding some pc fan lube to the metal fan that comes with my rev 0 dreamcast it became a lot quieter so it got installed back. 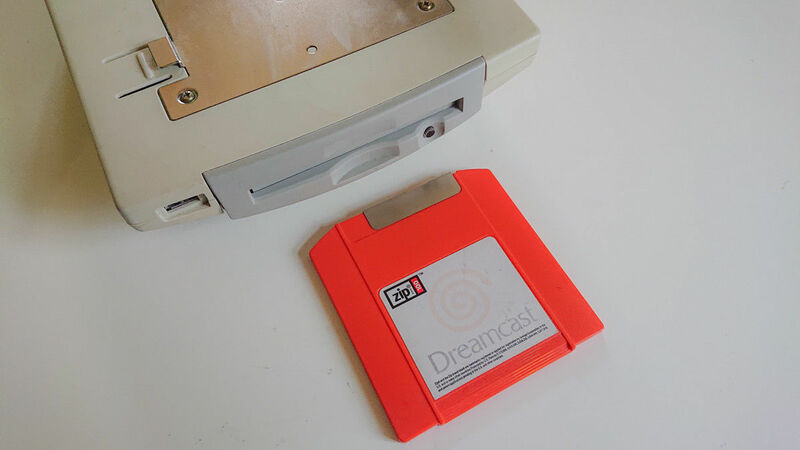 I don't know how you feel on trying to replicate the look of the prototype Zip Drive, but if you got a cheap parts one from Ebay it might be pretty easy to do the recreation mod like a user here did back in the day. I had planned on that a while back, but now I already have a GDEMU clone, and an overclocked DC, with dual bios mod and the replaceable coin battery mod. But there is a lot of visually good parts there to remake the prototype Zip drive as a faux one just to hide the parts in. Here is the official prototype, only some 3 mockups were ever made, and afaik they were only mockups. And here is one somebody replicated by gutting a Karaoke unit and a cheap PC Zip Drive. Please excuse the potato quality, I had to recover them from google thumbnails after originals were wiped from net. Imagine connecting a USB y-splitter to USB to Sata adapter to IDE adapter, wonder if it would be possible to make it easier to connect to the PC and ad games then? That way one doesn't have to constantly open it up to add them? 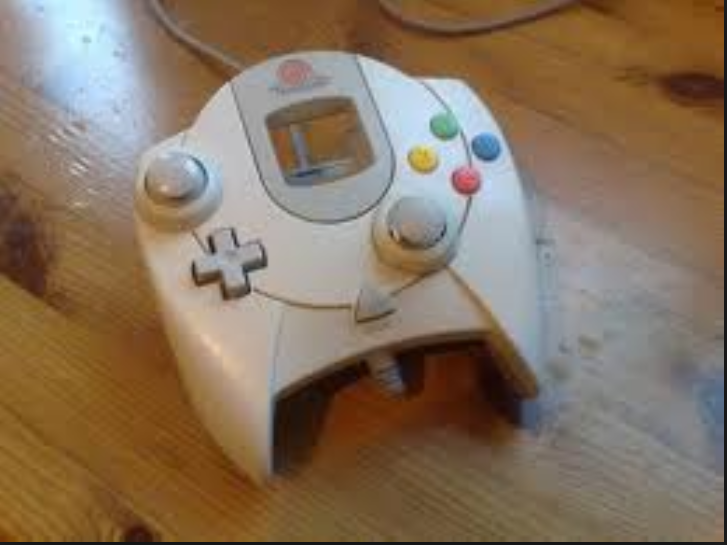 And his dual analog controller mod for good measure. Imagine connecting a USB y-splitter to USB to Sata adapter to IDE adapter, wonder if it would be possible to make it easier to connect to the PC and ad games then? That way one doesn't have to constantly open it up to add them? When you mentioned that in a previous post on here, that was what gave me the idea of buying the drive bay. It will be going on the modem port of the karaoke unit and allows you to have a completely removable hard drive. 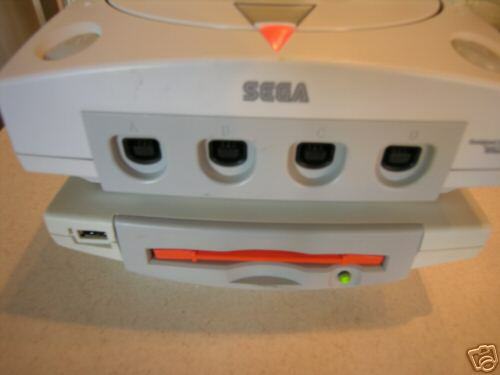 The modem itself can still be installed in the Dreamcast directly and wires can be passed through it with the open slots on the top of the karaoke unit for the sata cables and anything else I may add in the future. When I get a chance I will try to add more photos to better explain what mean. Ah ok I see what you are going to be doing now! Best of luck man and keep us updated! Can't wait to see the finished product! So this method you will be using will not damage the case for the unit then? And I assume it is completely reversible? If so great call! 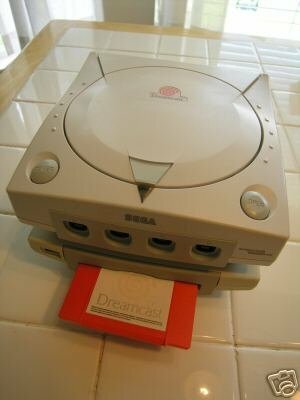 Well, it can be reversible if you custom 3d print a plate to replace the stock front on the karaoke unit to allow you to mount the drive bay there and you can route the wire to the Dreamcast thru its rear vent port. But since I am going with the stealth modem port approach I will have to cut a slot for the drive bay to be mounted. If anyone else wanted to try this but didn't want to cut any slot the only way to do it is to buy a cf card adopter like I also have (earlier post) and that will fit perfectly into the stock modem slot the only real annoyance with that will be of course the price of CF cards and the routing of the wider ide cable (they do make round ide cables that can make this somewhat easier). The entire game library in one drive. More convenient having one drive instead of multiple. Having to cut the case depending on the approach. I need a sata to ide adapter. CF card on the other hand. Takes up a lot less space. 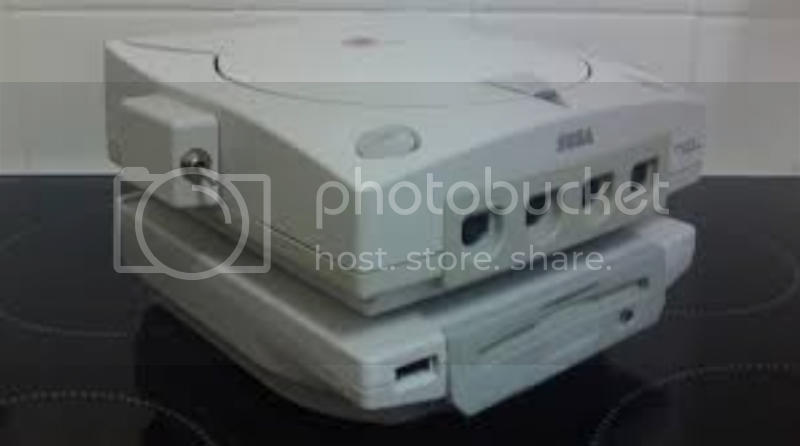 Can't put the entire library in a single card from what it looks like the Dreamcast library is 600 something GB the highest capacity CF I seen so far are in the 512gb range and they cost a lot 3 digits a lot. Will require multiple of them due to the above-mentioned reason. Wider and harder to route ide cables(they do make round ide cables that can make this somewhat easier). Now I haven't started on the modification of the karaoke unit at all probably won't start until next month since this month I am busy as heck with other stuff so ultimately right now either one could end up in the unit. Would appreciate outside opinion on which one they would pick and why.